Everyone, even the guy who runs your website with toys all over his desk, likes to keep a clean workspace. But there’s a difference between ‘clean’ and ‘hygienic’. Many warehouses that deal in more sensitive products like food, pharmaceuticals, and even personal care products like soap and shampoo need to be far more aware and aggressive in their efforts to keep workplaces sterile and free of potential infection. If your warehouse stocks these sort of items, you probably already enforce some degree of employee hygiene—washing of hands, wearing of gloves & masks, etc. But there’s actually steps you can take with your warehouse design itself to keep things clean and safe while encouraging productivity and item flow, and they’re not as complicated as you might expect. The first area to focus on would be current processes. Take stock of your current workflows and see if any step along the way can impact product safety and cleanliness. Do your workers spend too much time waiting for a loading bay to open up, running the risk of frozen food thawing out and becoming unusable? Do sensitive medical products have too many ‘touches’ along the path that takes them to their destination? Keeping processes simple is doubly important when it comes to a safe, germ-free warehouse, and you may find yourself eliminating a lot of wasted effort and unneeded steps to help productivity overall. Speaking of, you’ll need to keep an eye on traffic flows and worker positions as well. If you have an area that needs to be kept separate from the rest of the warehouse for hygiene issues, such as a walk-in freezer for food products or a sterile/clean room for medical products & pharmaceuticals, a common source of hygiene issue is the constant flow of people into and out of that area. Review your traffic patterns and try to reduce the amount of people entering that room to the bare minimum: only specifically trained workers that know how to handle those items should be handling those items, and this can go a long way towards improving traffic flow in the busiest areas of your warehouse overall. In addition, you need to make sure that your warehouse uses hygienic storage whenever and wherever possible. Any warehouse in the business of storing sensitive products should already have taken steps in this direction, but the usage of sterile plastic shelving and medical shelving is critical in these areas to prevent germs and unsanitary conditions. In many extreme-temperature situations like freezers and greenhouses, rust-proof wire shelves can be a good addition to prevent corrosion and product damage. Now that the flow of product into the warehouse has been taken care of, you need to watch out for waste flow as well. Food storage brings with it a lot of waste to dispose of, from unsold product to spoiled goods to runoff from the production process (if your warehouse is involved with the actual production and packaging of the goods), and it all needs to be handled as safely as possible. Keep your waste as far removed from your actual stored goods as possible to prevent pests and contamination, and where possible use locks and gates around your dumpsters and grease traps to avoid any unwanted visitors or cross-contamination of your goods. 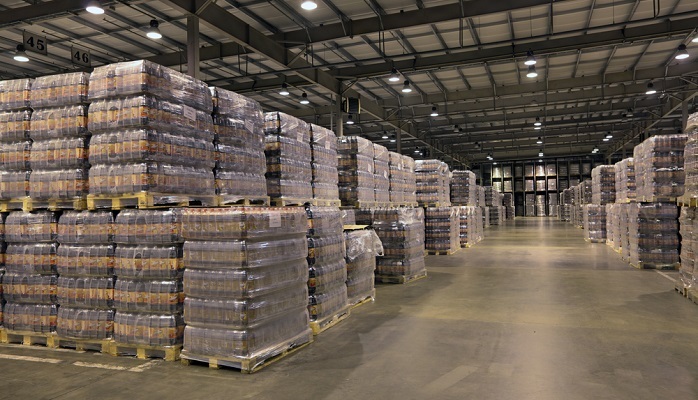 After these steps are met, your warehouse should be more hygienic than ever before.